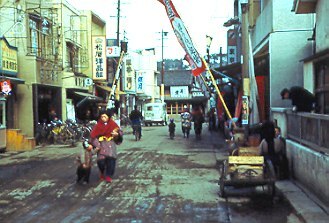 Sendai did not have large stores. Most people who were born in Sendai are amazed to see their city in pictures like those on this site. 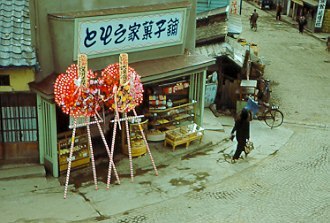 Bottom picture: Candy Shop on Kadan Street beside Chinese Noodle Shop. Toshiyuki Tanno located the shop for me.